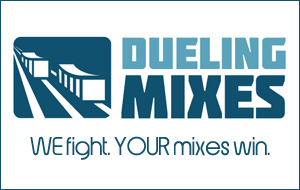 Do you struggle with mixing? Does it take you forever to be happy with a mix? If so, you may be falling prey to a very common and very preventable problem. I recently picked up a new mixing gig for a client. The songs are full band arrangements, and they are very well produced. There are a few tracks here and there that aren’t recorded as well as I would like them to be. Even so, I’m finding myself mixing these songs much faster than I expected. Why? Because I am not trying to be a magician. The key to mixing quickly (and this is so important) is to understand what you can and can’t do as a mix engineer. I’m not talking about what you personally can or can’t do. I’m talking about what is actually possible in the mixing phase. So many people wrestle with mixes in vain, not realizing that they are really having a problem with the RECORDING, not the mix. You can’t make a recording sound wildly different from what’s actually recorded. You can’t take a country arrangement and turn it into death metal with a bunch of fancy mixing tricks. It just doesn’t work that way. The song will sound like the song sounds, regardless of how you mix it. Your job as a mix engineer is to enhance the recorded material. That’s it. Your job isn’t to change it. Your job isn’t to fix it. Your job is simply to enhance it. If you find yourself spending hours on end trying to alter what was recorded to suit your needs, you need to give up now. It will never work. Listen to the tracks, pick a direction, and go. Don’t wrestle with the mix. The sooner you develop a deep understanding of what is possible during mixing and what is not, the faster you will be at mixing. If the mix isn’t the best-sounding mix you’ve ever heard, there’s a good chance it could never be the best-sounding mix you’ve ever heard, because you are not working with the best-sounding tracks you’ve ever heard. My best mixes are of songs where the recorded tracks themselves were very good. My worst mixes are the ones where the recordings are very bad. If you find yourself without any good tracks to practice on, I’ve got a solution for you.